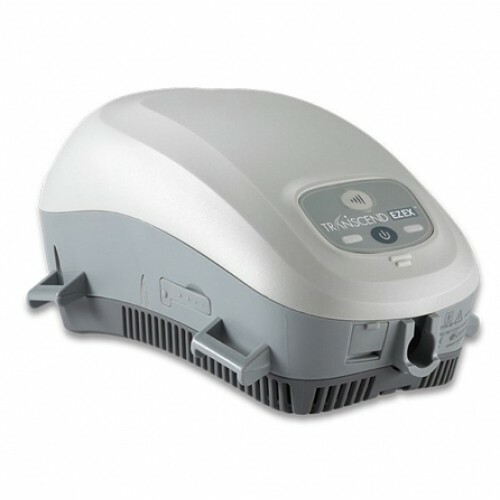 The Transcend EZEX Travel CPAP Machine is small in size and big on features. It stands on the shoulders of the original Transcend Travel CPAP adding functionality without adding to the size or weight. This is a single pressure CPAP machine with a ramp feature and exhalation relief designed to deliver a fixed pressure all night long. The Transcend EZEX weighs just 15 ounces and is only 6.1 inches long. The size makes it an ideal choice for travel while the list of features make it an ideal option for nightly use. The machine easily fits in carry luggage without adding bulk and weight. The small footprint takes up less room on the bedside table. How big is a 15 ounce, 6.1 inch item? Think of a standard 12 ounce can of carbonated soda. The Transcend EZEX is just a bit longer and approximately 2 ounces heavier than a can of soda. Somnetics offers EZEX pressure relief to increase user comfort and ease the therapy adjustment period. EZEX delivers a drop in pressure during exhalation to make the breathing more natural. EZEX can be set to 1, 2 or 3 with 1 being the smallest drop in pressure and 3 being the largest. Or EZEX can be set to zero and the Transcend EZEX will not drop the delivered pressure at the time of exhalation. The small size and and lightweight design do not compromise the sound level of the Transcend EZEX CPAP machine. It has a sound rating of 26.6 dB putting it among the quietest CPAP machines on the market. The Transcend EZEX CPAP machine comes ready for travel. The AC power adapter is packaged with four plug adapters suitable for use in the United States and overseas. The plug configuration used in the USA comes installed on the power adapter. To change the plug adapter, depress the flat button labeled "PUSH" on the adapter. Once depressed the adapter rotates counter clockwise (to the left) for removal from the body of the power adapter. Insert the desired plug adapter onto the power adapter and rotate clockwise (to the right) to lock in place. Visit the Power Tab of this product page to read about the versatile power options available for the Transcend including battery and solar panel options, as well as a mobile power adapter. The Transcend EZEX includes the improved filter frame design with removable filter. Easily removed with the filter frame from the bottom of the machine with a push of a button. The filter strip is held in place by the filter tray. The filter frame color of the Transcend EZEX is medium gray. 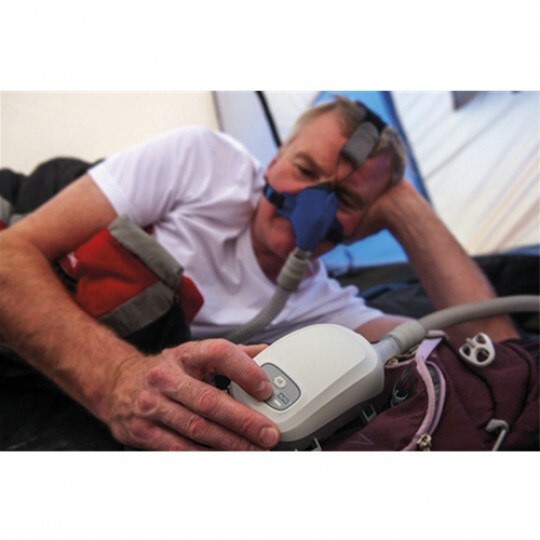 The Transcend EZEX Travel CPAP Machine automatically adjusts to changes in altitude up to 8,000 feet. No need to access the set up menu to change the settings. Just turn it on and the machine will automatically adjust. When using the machine for air travel in a pressurized cabin the machine will auto adjust to the proper altitude setting. USB Cable with Transcend Software - Connect the machine to a Windows based computer using the included USB cable. Email Capable Transfer - With the machine connected by the USB cable and the software active, access the Patient Setting screen and click the "Email Compliance Information" field and follow the instructions to enter an email address. *Transcend Auto™ and Transcend EZEX. Transcend CPAP is rated at 29 dBA. Weighing less than one pound, Transcend devices are easy to pack and carry for your next night away from home. One of its biggest differentiators from any other CPAP on the market, Transcend has two battery options, a solar battery charger and a DC mobile power adaptor, giving unmatched power options that support therapy on the go. From your desktop, up to the cloud, TranSync™ makes it easy for CPAP users to track and share their therapy data.